Our world-class longitudinal studies are providing vital evidence to the Science and Technology Committee, but, argues Rob Davies, CLOSER Public Affairs Manager, only by expanding the evidence base can they further illuminate the lifelong consequences of childhood adversity. Over the course of 70 years, the UK’s longitudinal studies have been a leading source of evidence on how our early lives continue to shape us as we grow up, and grow old. By tracking people from all walks of life, these studies have been able to identify the factors early in someone’s life that influence later life outcomes and how far-reaching the effects of disadvantage can be, providing insights that simply cannot be obtained from any other data sources. The Science and Technology Committee inquiry into early-years intervention recognises one of the major issues facing the country: how childhood adversities can have lifelong consequences and, if they are not addressed, can result in negative personal and economic costs. 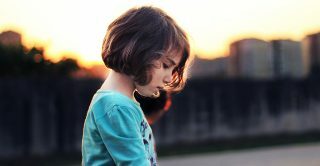 Some of the figures underpinning the issue are shocking: the NSPCC estimates that around one in four children will have experienced family or domestic violence by the time they are 18 years old, and more than one in six 11- to 17-year-olds will have experienced severe maltreatment. The longitudinal evidence submitted to the inquiry demonstrates how adverse experiences during a person’s childhood are associated with multiple negative health outcomes over the course of their life. Being born into poverty or disadvantage can have lasting effects on health, education, employment and ageing. In particular, factors such as maternal health during pregnancy, child birthweight, parental education and employment, family housing situation, socio-economic circumstances and being bullied all have an enduring effect on children’s cognitive, social and behavioural development. Children who experience disadvantage in their early years are most at risk. The 1970 British Cohort Study found that, even at 22 months, there is a significant gap in the development of children from different socio-economic groups, which widens over time. The Millennium Cohort Study found that by age five, children from more advantaged families were more than a year ahead in their vocabulary compared to those from disadvantaged backgrounds. New insights from Understanding Society have shown the profound negative impact that having parents who are out of work, and experiencing a range of associated problems, can have on a child’s chances of success. Research using the 1946 National Survey of Health and Development revealed that an individual experiencing good childhood circumstances significantly increased the chances of them being in the best health at age 36. Depressingly, those with a poor start to life were not able to make up the full health deficit. The Science and Technology Committee now has a number of recommendations to consider, which it should tease out during oral evidence sessions. From reviewing the evidence to the inquiry it is clear to me that improving the evidence base should be high on the Committee’s priority list − further longitudinal research is desperately needed to understand how multiple risk factors interact and to assess the impact of interventions, whether universal or targeted. There are three ways this can be achieved. Firstly, linking longitudinal survey data to administrative records would provide a more complete picture of participants’ life stories and vastly improve our understanding of how different aspects of people’s complex lives interrelate. However, the efforts of CLOSER and others continue to be frustrated in this area despite the obvious benefits to research and the public. Secondly, more investment in comparing data across different longitudinal studies will provide a window into how the lives of different generations are changing. The ability to compare findings from different longitudinal studies, however, can only be achieved through harmonising survey variables to ensure the data is comparable – something that CLOSER is investing heavily in. Finally – and crucially – we need continued investment in the UK’s existing longitudinal studies. We need to ensure they can keep generating the evidence that many of them have been collecting for decades. And, in the context of UKRI’s Infrastructure Roadmap, the Government seriously needs to consider how to capture data about the newest generation of children living in the UK – those born in the current century. Otherwise the most recent evidence they will have will be of people born at the turn of the century, who are already adults.